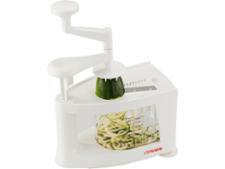 Cuisique spiralizer reviews - Which? We've put all these spiralizers through our tough, independent lab tests. So we can tell you which will create long, pretty courgetti and vegetable spirals - and which will leave you with ugly scraps. And, if you still can't decide, here's our handy Which? guide on how to buy the best spiralizer.